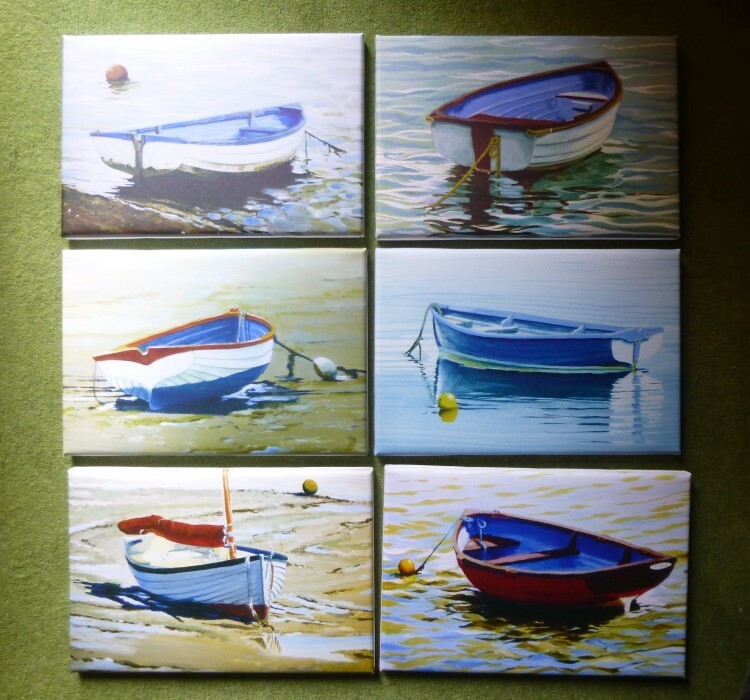 Some lovely new stock arrived this morning – new cards, ten different designs, ordered from www.moo.com, and six new canvas prints. 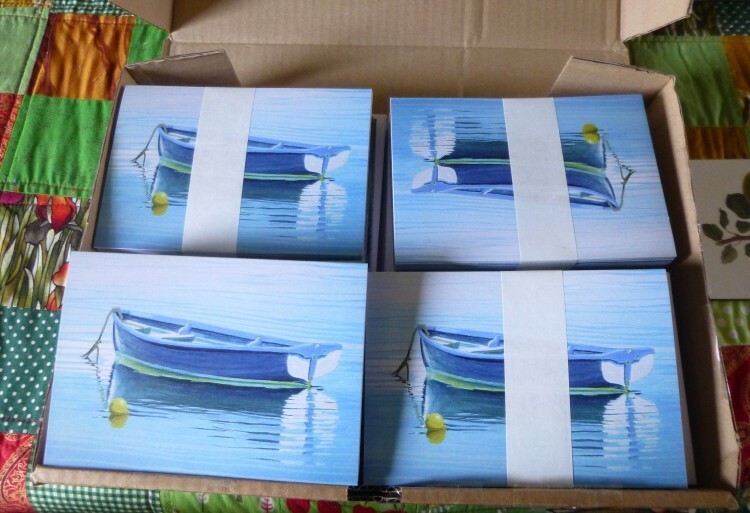 The cards are for the Lexden Arts Festival’s card rack: I’m not actually exhibiting at the Festival this year, mostly due to my solo show coming up in the summer at the Naze Tower Gallery – I really couldn’t get enough work done for both! – but also because I thought this year it was high time there was a real change at the Festival! Pru Green, Nat Young, and I have exhibited at every Festival so far, since 2012, but this year none of us are showing. Cathy Allen and Penny Bhadresa, who showed for the first time in 2015, are coming back, but otherwise everyone else is new this year! I think it will be great and will make the show seem very fresh! 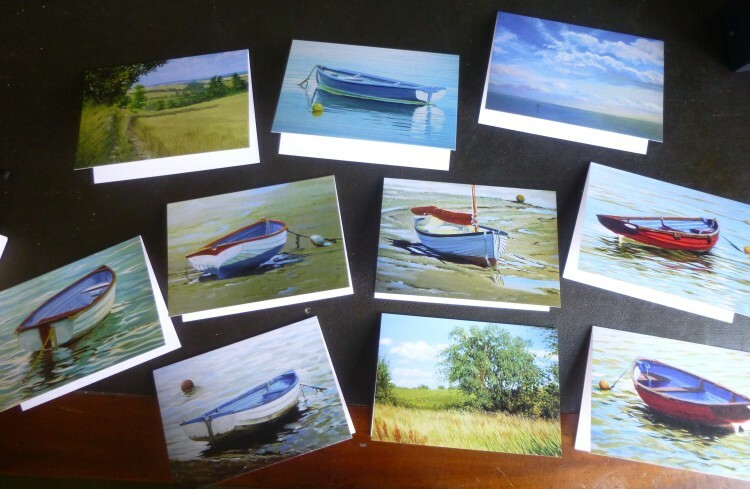 BUT I did think I would just have some new cards to sell! I really like how Waiting for the Tide II and Willows on the Colne have come out, and my newest dinghy, Dinghy on Still Water.